Shanghai Oxford and Cambridge Society was founded in 2000 and is the official alumni association for the two universities in the East China region. 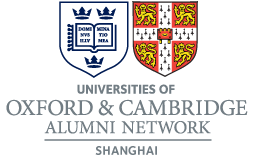 (a) To provide a forum for Oxford and Cambridge alumni to meet and network in Shanghai, and for visitors from Oxford and Cambridge Universities to meet with those alumni. (b) To provide a link between Oxford and Cambridge Universities and their alumni living in Shanghai. The society has 3 simultaneous pillars of engagement with our alumni in the form of fun, learning, social impact. Please follow the menus above for further information or contact the relevant committee members.